Handcarved 18” archtop. Roger moved to Minneapolis from New York and opened Bennedict Music (now Twin Town). 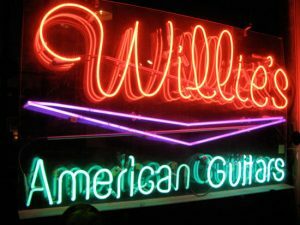 His passion was building guitars and they were used by Stevie Ray Vaughn and Jackson Browne. This is a fully carved Adirondack top archtop with maple back and sides. 25.5” scale, 1 3/4” nut and ebony fretboard. 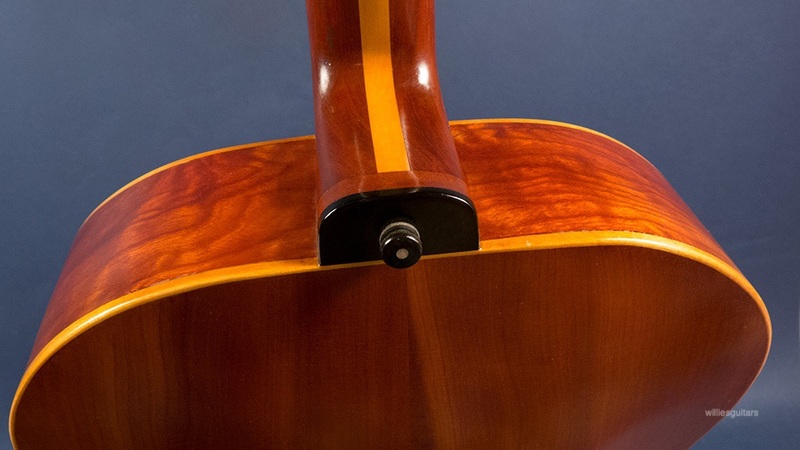 A one off Super 400 size acoustic archtop with added pickup. Fantastic. Has an open crack on back. Sold as is at a low price. Comes with a hard case. Consigned. Price is firm.